When my mom recently cooked her sotanghon soup, my mind immediate flooded with Vietnamese soup memories at Eden Center in Northern Virginia. My most unforgettable memory was eating a sandwich that had the hottest peppers in it. I had no idea because the store folks didn't advertise that the sandwich was hot. I took one bite and my ever so sensitive tongue and taste buds were under fire! I hurriedly ran and grabbed a cold bottle of water from the refrigerator but of course that did not help and my mouth continued to burn. My youngest godchild loves hot and spicy food. God bless him always. I'm sure he would have loved that hot, spicy sandwich. His dad is so passionate about hot and spicy and has been talking a lot about its benefits. Actually, the whole family has a love affair with hot and spicy. Always, there is hot sauce in their company. I think that it's important to vary your diet from time to time. For me fruits and vegetables with excellent fats, high quality and organic protein, and healthy carbs are necessary in my diet. As you have read above I prefer not to eat hot and spicy but I think that I should add a little once in a while. Well-renowned functional medicine doctors like Dr. Alejandro Junger and Dr. Mark Hyman advocate eating spicy foods as long as they do not cause acid reflux. I have found that some of their recipes incorporate hot and spicy ingredients. It's best to chew food slowly and listen to your body as your body will let you know what you can tolerate. My mom's chicken sotanghon is a very versatile dish that can be eaten any time of the year especially during the cold months. It's getting cooler in the mornings up north so this is perfect right now. You can also make it as hot and spicy if you like. This soup is unique from other soups because of two main ingredients -- saffron and Red Boat fish sauce. 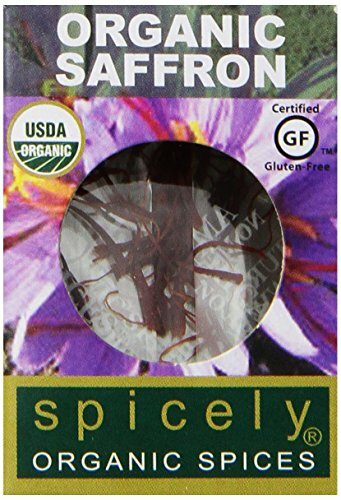 Saffron is used in many Spanish and Filipino dishes like Arroz Valenciana. It's a very precious ingredient as it is not cheap but it makes this soup really awesome and wonderful. So I would say get it if you are going to make this soup because it is so worth it. The other ingredient that I highly recommend is the fish sauce by Red Boat. This is the only clean fish sauce that I've come across as other fish sauces have unwanted preservatives and other unnecessary additives. 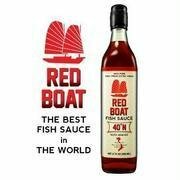 Red Boat is the Cadillac of all fish sauces. This recipe is just right as a whole meal in itself. Be sure to use chicken bone broth to get all the best health benefits. Making your own chicken bone broth is best. You can simmer your organic chicken bones for at least eighteen hours in a pressure cooker or slow cooker with your choice of seasonings like onions, garlic and some spices. This process will crush the bones and break open all the incredible nutrients. Bone broth is healing food for many who suffer gut problems, flu and cold symptoms. Warning! If you end buying your bone broth, it is very important to read the list of ingredients on the package. I prefer Pacific brand organic chicken bone broth. Many times the horrible ingredient MSG is deceptively included in many packaged foods. Several months ago I caught it in a brand of organic chicken broth; the ingredient listing included yeast extract. Yeast extract is another word for MSG. My son is highly sensitive to MSG and breaks out in hives so you can imagine my frustration when I learned this. Here is my mom's so good for you and warm soup recipe. This one is a good one to share with the whole family. Remember to use organic ingredients as much as possible. Enjoy! Saute garlic till brown. Then add onions, ginger, chicken, carrots, celery. Saute for about 10 minutes. Season with Himalayan salt, Red Boat fish sauce, freshly ground pepper, and saffron. Add the chicken bone broth. Let boil for 5 minutes then add the noodles and boil for another 10 minutes. Add your greens last and cook for a couple more minutes till wilted. For a spicy version, my godson's dad recommends adding green jalapeños, sriracha, red chili in vinegar, and/or red dried pepper.